Charles Barkley really doesn't want to see the New Orleans Pelicans trade Anthony Davis to the Los Angeles lakers. Furthermore, Barkley says NBA commissioner Adam Silver needs to step in and "block that trade." Of course, the Pelicans and Lakers still have not yet agreed to anything, but the writing is on the wall. “Adam Silver needs to block that trade,” Barkley said on Thursday. “I don’t like what the Lakers are doing. I don’t think it’s right." 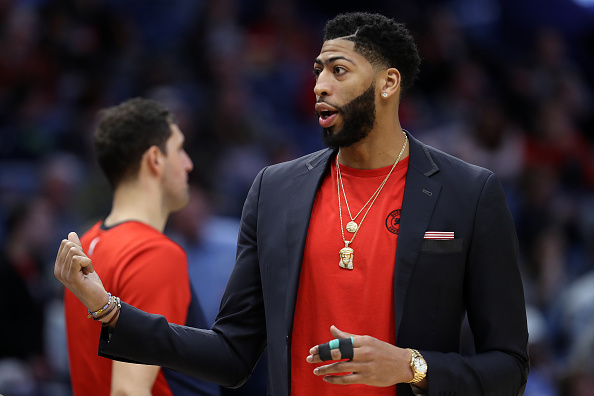 Magic Johnson reportedly presented the Pelicans with five different traded scenarios for Davis earlier this week, and the two teams are expected to talk again prior to the February 7 trade deadline, according to ESPN's Adrian Wojnarowski. Check out Chuck's thoughts about the potential deal in the video embedded below.